Would you like to enjoy a clean, all washed up exterior space in your home? Have you ever toiled with the idea of hiring a professional gardening hedge trimmer here in Point Cook? Would you enjoy the sight of well-manicured lawns which attract the sight of every visitor to your home? Look no further, at Gardening Angels we are delighted to offer these services. Call our team today on 0467 001 100, or fill in our online form and leave the rest to us. When considering the cutting height of your lawn, it is important to remember that grass, like other green plants, must carry on the process of photosynthesis to grow and survive. Close mowing decreases the volume of leaf area ready for photosynthesis and in turn may diminish plant vigour. As the cutting length is reduced, lawns become less resistant to environmental stresses and more vulnerable to intrusion by weeds than lawns maintained at a longer cutting height. 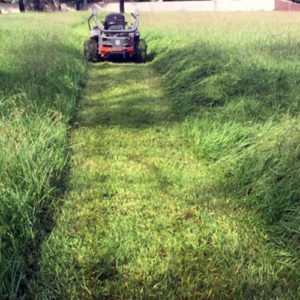 When we do your lawn mowing, we are well aware that the root system of your grass becomes shorter and less yielding as the cutting height is decreased. Even though a short cut lawn can be successfully maintained, the short root system will bring about a need for more regular watering and fertilisation to compensate for the diminished capacity to obtain nutrients and water from the soil. Consequently, it is advisable to keep your lawn at the highest cutting height that is appealing to the eyes, acceptable for the proposed use of the turf and one that will allow the grass to rejuvenate itself. You may need to consider some trimming techniques. When trimming smaller hedges, hand-held hedge shears are an excellent choice, but you may need to use petrol or electric trimmer for large hedges. No matter the choice of the equipment, you must ensure that it is well lubricated and sharp. Always think of your safety first when using gardening hedge trimming tools. When using a powered hedge trimmer, use sturdy gloves and safety goggles. Before you start, clear any impediments on the ground. Do not use powered tools beyond shoulder height and use strong step ladders or platforms, which guarantee stability. Electric hedge trimmers must not be used in wet conditions. The cable should be placed over the shoulder to prevent it from being accidentally cut. When using high-pressure washing in cold weather, one must be aware that a pressure washer is affected by cold weather. In winter you have to ensure that the water inside does not freeze, and other parts do not get chokes due to low temperature. When using high pressure cleaning to clean footpaths and tracks, you can use sand and salt if the water begins to freeze. Have some rock salt with you as it helps when you spread it on the ice or mix it with water to lower the temperature. If you live around Point Cook, you should not be worried. Whether its lawn mowing, gardening hedge trimming or even high pressure cleaning services, we at Gardening Angels continue to offer these services to our esteemed customers surpassing their expectations. Do you want your lawn and garden to look the perfect every season? The team at Gardening Angels can help you with our lawn and gardening maintenance services.